Later this week, J. Roddy Walston and The Business will release their fourth long play, Destroyers of the Soft Life. If the last two records assumed a stein-clashing, joyous revelry, the Baltimore quartet has added a dose of anthemic drive to their soaring song structures and sing-along melodies, as seen in new tracks “You Know Me Better” and “The Wanting.” The group is currently smack in the middle of a supporting tour through the US, and Paste headed down a winding gravel road to cross paths with the band at Iowa’s Codfish Hollow Barnstormers. The venue holds a rustic magic in its pine slats; owner Tiffany Biehl’s mellow dogs saunter around the rural surroundings and cell phones fall out of cellular range, forcing a direct connection between audience and musician. Photographer Sarah Hess shot the group in the farmhouse Biehl’s grandfather was born in, as well as the exuberant performance. 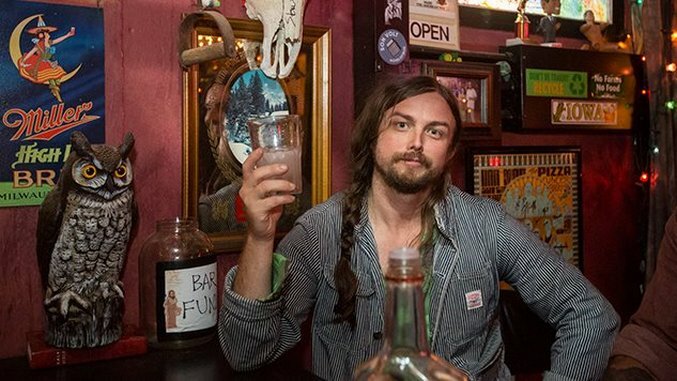 J Roddy Walston and The Business play in San Francisco tonight.